Over the last decade, Lin has coached scientists and engineers from China and other nations about how to most effectively promote scientific discoveries and gain the attention of other scientists, scientific institutions and, most importantly, the public. In 2015, she attended her first international science communication workshop in Chengdu, co-organized by the Chinese Academy of Sciences and EurekAlert!, the global, non-profit news service operated by the American Association for the Advancement of Science. She participated in a similar workshop in Wuhan in April, and this time, not as a participant but as a presenter. As the chief of external relations and media officer for the Chinese Academy of Sciences’ affiliated Institute of Atmospheric Physics, Lin now works closely with scientific institutions throughout China and from this position has seen significant changes in how scientists promote their work. “I used to have to run after scientists and ‘beg’ them to talk about their work,” she said. More recently, though, scientists are actively reaching out to her when they publish new research findings and are far more willing to follow up with reporters seeking to interview them. “I am really proud of these changes,” said Lin. The transformation coincides with the Chinese government’s move to increase investment in its science and technology enterprise with an eye toward expanding innovation and, in turn, growing the nation’s economy. Chinese Premier Li Keqiang, the country’s top economic official, said as much in delivering an ambitious draft economic development plan to the National People’s Congress in 2016. The plan called for increasing science spending by 9.1%, a level equal to a $41 billion boost over five years, and pledged to reduce bureaucratic barriers for scientists. The effort has led many scientists to look beyond their institutional affiliations and more eagerly seek to publicize their work throughout the scientific community and beyond China’s borders. In China, there is a growing public demand for science news and information on a range of topics centered on everyday life, such as air quality, climate change, infectious diseases and vaccination. The heightened interest comes as scientific institutions in the United States face steep spending reduction proposals and as the news industry throughout the Western world continues to adjust to the digital world, said Brian Lin, EurekAlert!’s director of content strategy. Since 2015, EurkAlert! has worked with the Chinese Academy of Sciences and offered workshops in cities including Beijing, Shanghai, Guangzhou, Chengdu and Kunming. 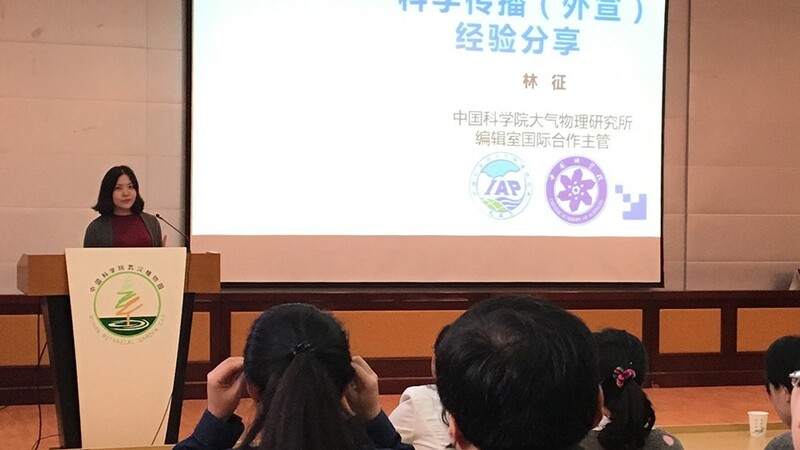 The April workshops held in Wuhan, Hefei and Xi’an represented EurkAlert!’s first foray into central China where science and technology is a growing economic focus. EurekAlert! will continue to hold workshops and training sessions for media professionals in China to help them enhance their communications skills, hone their ability to promote science by offering participants the “tools and confidence needed to help their scientists communicate openly the value and challenges of science,” added Lin of EurekAlert!. Joining Lin Zheng as a speaker at the EurekAlert! workshops in April were two other media officers from affiliated institutions of the Chinese Academy of Sciences. Lin of the Institute of Atmospheric Physics said her participation in the workshops both as a speaker and earlier as a participant has already delivered tangible results. A recent study published in the Advances in Atmospheric Sciences, an Institute of Atmospheric Physics journal, gained noteworthy media coverage from over 100 media outlets worldwide. She is nonetheless mindful that her success is something that remains out of reach for many media officers in China. Science communication is still evolving in China and it will take time before it resembles how scientific communities in other countries highlight the value of science, she noted. As the public in China reaches for more information about scientific advances and study findings, China’s media and scientific community has been urging the government to increase its spending on efforts to more widely promote science. “There is great potential for quality science news – and hopefully by extension, evidence-based, scientific thinking – to become a part of the public debate on major policy issues,” said Lin of EurekAlert!. 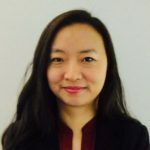 Joy Ma is the Editorial Content Manager for Chinese content at EurekAlert!